And a squirrel will lead them. I vote we make Hammy Ambassador to Vulcan. They’ll never know what hugged them. Never go up against a spatula when silliness is on the line. 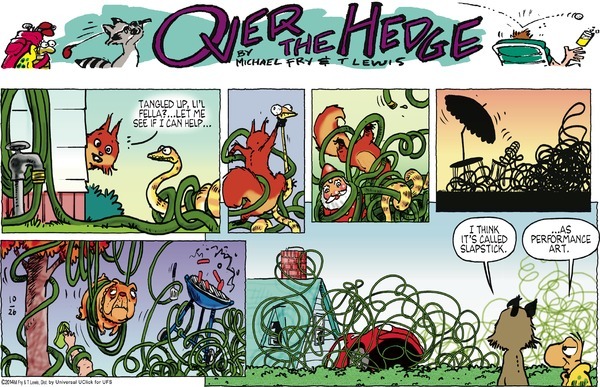 Technically, Verne could probably see Hammy in the third panel as they’re facing one another. Technically, animals don’t talk and walk on their hind legs and use little scrubby brushes to take baths either. So there’s that. Nothing is so silly that Hammy can’t make it sillier. It’s a gift. Like the thumbs. RJ is not a work in progress. RJ is a piece of work.